If you have a baby or have ever looked after one, you’ll likely know the importance of diaper rash cream. Indeed, babies often are subjected to rashes due to their soft skin constantly rubbing against diaper material that has been subjected to urine and feces. Fortunately diaper rash cream is an excellent cure for such an ailment. However, there are also a number of other great uses of diaper cream. These uses arise due to the benefits of the main ingredient, zinc-oxide. If you’ve got a lot of diaper rash cream on hand and you’re looking for some great alternative uses, consider the following. scratches. By applying a small amount of diaper rash cream to any fresh cuts or scratches you’ll notice fast relief from the pain. Not only that, but it will also expedite the healing process. If you’re getting to the age where wrinkles are becoming somewhat of a problem, a great home remedy can be diaper rash cream. Diaper rash cream can aid in the fight against wrinkles by providing moisture which helps strength and tighten your skin. In addition, it will lead to overall healthier and more radiant skin. As diaper rash cream was originally intended to help with the burn and inflammation associated with diaper rashes, it should be no surprise that one of its great alternative uses is against other types of burns. The zinc-oxide in diaper rash cream will help soothe and treat sunburns, and minor surface burns such as those caused by touching a hot pan or iron. Next time you’ve found yourself out in the sun too long, try applying diaper rash cream. 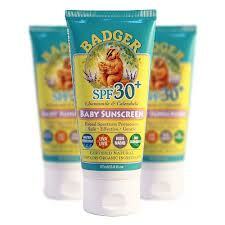 Speaking of sunburns, diaper rash cream is also an effective sunscreen. Although it doesn’t contain many of the key ingredients and benefits of actual sun screens, if you’re caught out in the sun for a prolonged period of time without any sun screen on hand, diaper rash cream can be an acceptable alternative to help prevent against burns. Chapped lips are essentially caused by the drying out of the skin on your lips. This drying out process results in cracked lips. As diaper rash cream is an effective moisturizer and safe for use on babies, it can also be used to help relieve the dryness that causes chapped lips. Next time you feel your lips are getting dry, try diaper rash cream to combat against cracks. 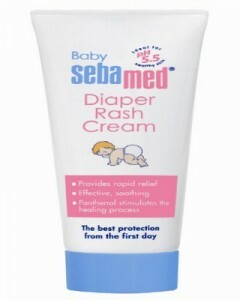 Diaper rash cream is a great alternative treatment for many common ailments. Indeed, zinc-oxide is found in many of the products created specifically for the above products. Next time you’re suffering from any form of itch, scratch, burn, or dryness, consider using diaper rash cream. It will help ease the pain and inflammation as well as help moisturize your skin thereby preventing any further damage.